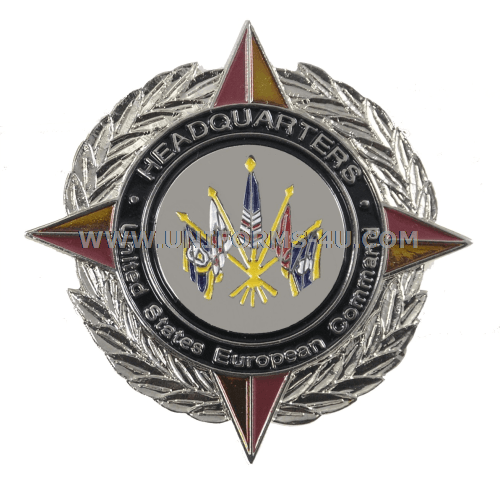 The United States European Command’s heritage dates to the early years of World War II, with the designation of a European Theater of Operations, U.S. Army (ETOUSA) on 8 June 1942, which was give the mission of conducting the planning of operations that would lead to the liberation of Europe from Nazi occupation, as well as exercise control over the administration and operation of U.S. forces involved in achieving this goal. The ETOUSA was redesignated United States Forces, European Theater in July, 1945, and less than two years later was renamed European Command. On August 1, 1952, the Joint Chiefs of Staff again redesignated the U.S. forces, this time under the title United States European Command, or USEUCOM). The new command’s Area of Responsibility (AOR) included the continent of Europe, the United Kingdom, Turkey, and North Africa. Over time, this AOR was expanded east and south to extend to Iran and Saudi Arabia. With the breakup of the Soviet Union, the USEUCOM’s focus turned to peacekeeping roles in the Balkans in the 1990s and then, after the attacks on the U.S. on September 11, to operations in Afghanistan and Iraq. Its responsibilities were significantly reduced with the creation of U.S. African Command (AFRICOM) in 2008. 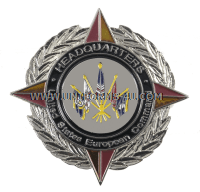 The current headquarters of European command are located at Patch Barracks in Stuttgart-Vahingen, Germany. General Curtis M. Scaparrotti, who took over command of EUCOM on May 3, 2016, also serves as the Supreme Allied Commander Europe.